If you happen to download a file that reads as .rar extension, you will have to unpack the contents to view or use the data compressed in the file. Roshal ARchive file format, commonly referred to as RAR file, is a file format that stores and supports data compression, error recovery, and file spanning. 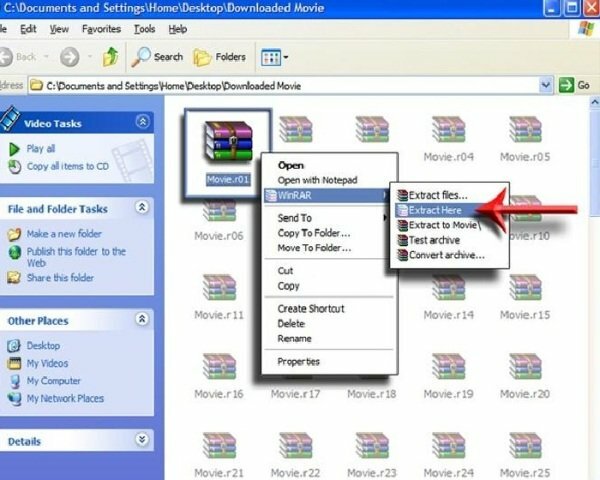 Generally, you can find software installs and huge files saved in .rar format for archiving and downloading from the internet. Thus, for using or running them, you need to uncompress or extract them. A successor of ZIP file technology, RAR works better as it compresses files in tiny bits, which can later be restored in their original sizes, thereby making it easy to distribute amongst others. Further, you can store more files with RAR format. However, the only problem that they come with is that they are worthless unless extracted. So, let’s see how are RAR files actually extracted? Download 7zip from the internet and save it on your computer desktop. Follow the instructions and install the program. Although there are other commercial applications, such as WinZip through which you can uncompress and extract .rar files, 7zip is the best application for opening and accessing numerous file formats, such as .rar, .tar, .zip, and others. Further, you can use the software to compress files in different formats. Go to your .rar file and right click on its tab. Choose a file location where you want to extract the .rar file and click on “OK” button. Wait and watch as 7zip extracts the entire data from the file into a new folder of the same name as that of the extracting file. Your .rar file has been uncompressed. Open the file and access the data so stored in it. Download a trial version of WinRAR from the internet. From the list of versions displayed, click on the top selection labeled as “WinRAR 3.80”. You’ll see a “Trial” button to the right hand side of the row. Click on the button and select “Save File” when asked. The software will be downloaded directly onto your computer’s default download location. Find the downloaded software in your computer and double click on “WinRAR 3.80”. When asked, click on “Run” and install the software in your default programs’ directory. In case your computer is installed with Vista, click on “Continue” and follow the instructions to complete the installation procedure. Locate the RAR file you wish to extract and paste it on your computer’s desktop to abridge the whole process. Right click on the RAR file and select “Extract Here” from the dropdown menu that pops up. The software will start extracting the files to the same location your RAR file is located in. After the extraction process is complete, the file is ready to open and use. With these simple steps on how to extract RAR files, you can simplify your task of viewing and using compressed data and information in a matter of few seconds. Enjoy!